Don’t forget to attend the Jackson State of the Arts community forum this Monday from 6-9pm at North Midtown Arts Center! If you are a practicing musician withh albums to sell, shows coming up or special events you are planning – COME. If you are a business owner who feels connected to the local arts culture – COME. If you teach creative arts in a local shop/studio, in the schools or at home – COME. If you work in our museums – COME. If you host or want to start regular readings or meetings – COME. If your planning a festival – COME. If you work with a non-profit to further the arts in Jackson – COME. If you work with a non-profit whose mission is strengthened by the arts – COME. If you run a gallery – COME. If you are a producer or an at-home recording hobbyist – COME. If you repair or build specialty artistic equipment – COME. If you craft – COME. If you freelance in creative industries – COME. 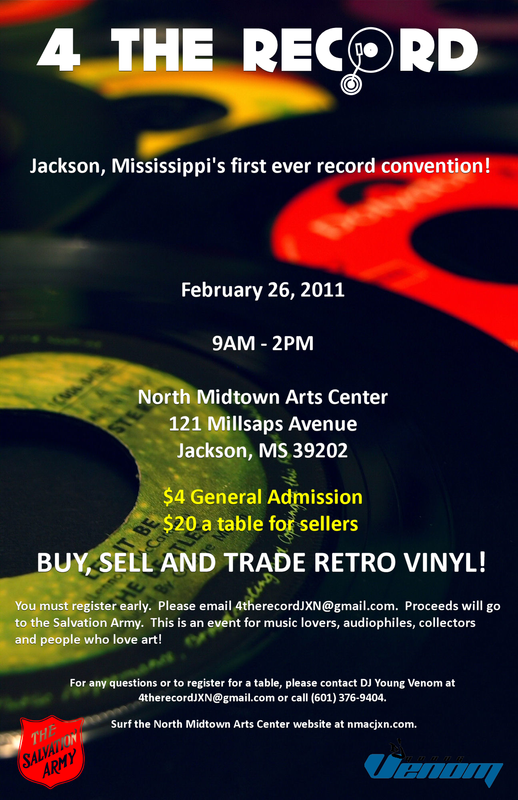 If you are curious about the Jackson artistic culture and want to know more of the people involved – COME. This annual community forum is a unique opportunity for our local cultural actors to come together and get a glimpse at the various actions which make up the cultural movement of which we are a part. Everyone who comes will introduce themselves, offer a brief description of their role, and give contact information if applicable. Make sure to let your friends know about this forum and pass it on. This event is made possible by the Jackson Arts Collective and Greater Jackson Arts Council. Read about him or hear clips of his solo percussion. The M!A Summer Sunday’s brings together local visual artists, musicians, and dancers for spontaneous creative action! A unique opportunity for audiences to see well-known local creators exploring their craft in collaborative, multidiscipline ensembles. This show is FREE and an excellent afternoon family event!